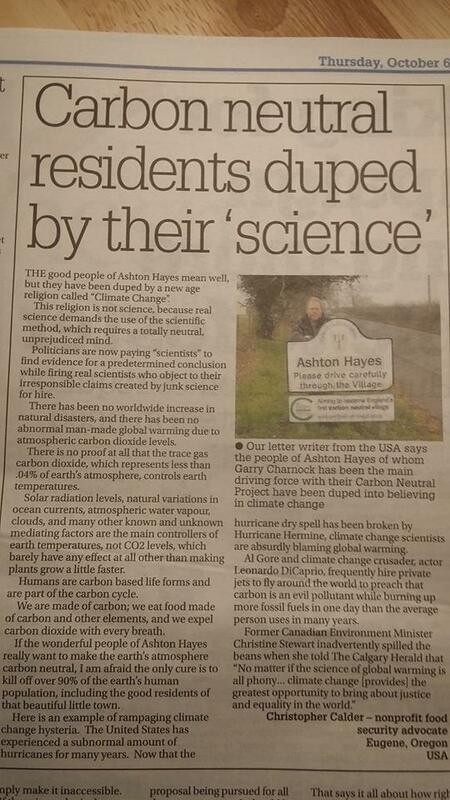 I have already written to the editor of this paper to make the point that publishing climate change denial letters such as this one on 6 Oct both demeans and trivialises the whole paper. I would however also like to address the letter writer directly and more forcefully. Christopher Calder tells us we have been fooled by ‘science’ have we? By science I guess you mean those nasty people at NASA, you know who gave us the moon landings, the space shuttle, satellites and digital telecommunications. Or did you mean the Met office, who we rely on every day for weather forecasts, storm warnings and the like. Or NOAA in the USA, when they give hurricane warning do we ignore it, thinking it is another of their made up pranks? 60 Nobel laureate scientists published a joint open letter only a couple of weeks ago saying how urgent it is that we pay full attention to the science – and it is not the first time either! Are you saying they all made this up, really? 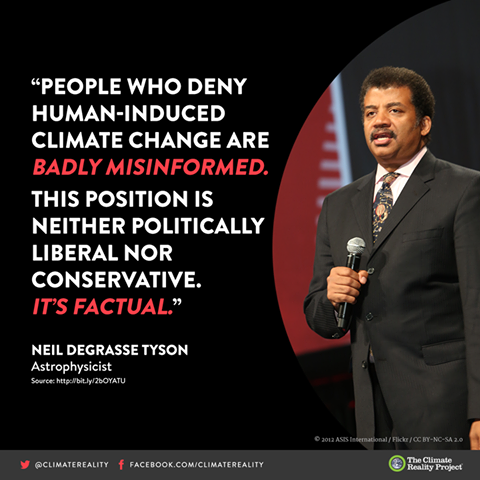 The Oil industry has been caught over and over pumping millions of dollars into climate science disinformation, bad science and denial, do you not think if there was even the merest chink in the robustness of the science they would have exposed it and filled our media with it? 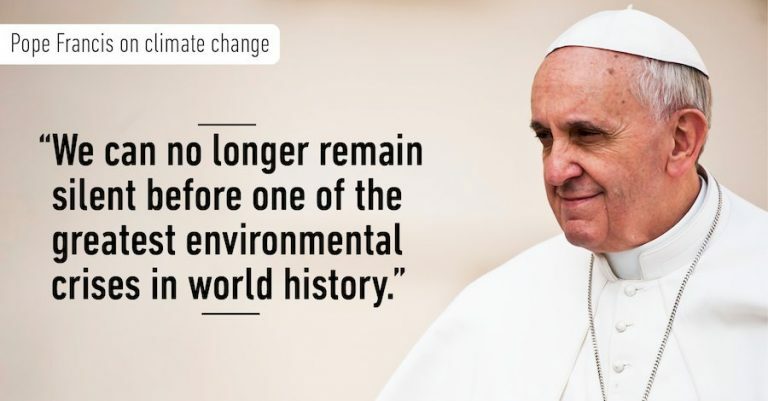 The Climate denial game is so over, even Exxon’s Mobil’s own scientific department concluded that unchecked co2 emissions represented a clear and present danger back in the 80’s; but when even the Pope steps forward and puts the full force of his office behind the ‘moral imperative to act on climate’ then you make a fool of yourself to pretend otherwise. ‘Science’ you say, I am particularly annoyed how you chose to put the word in commas, you and your so-called science! Science, my friend means observation, simple as that. Everyone with a thermometer can measure the temperature outside and make comparisons and the evidence of temperatures past is written in every geological record and every tree ring. Anyone with a ruler can measure sea-level changes. This is evidence that can’t be falsified, evidence that every serious scientist around the world concurs with when they do their own research. There is no dissent about climate change within the scientific community, other than just how bad and how urgent is it? Trump, a climate denier blames it all on the Chinese, why the Chinese I don’t know and how they falsified everyone’s scientific data around the world, that bit he failed to explain. The US army’s own scientific research teams concur with the climate scientists, it is indeed a real and present danger; are they colluding with the Chinese too? Honestly, there really is nowhere left to stand to hold onto the position of denial and appear credible. Are you really prepared to put the whole gamut of evidence against your own untested word? You site no sources to support your views, yet the weight of world opinion is against you. I am sorry to have to be so strong in my words but you are a scoundrel sir! A scoundrel for daring to make such a false point and doing it so weakly and so incorrectly, you insult our intelligence. Around the world millions of people are already affected by climate change, ecosystems are collapsing, oceans are acidifying and there is no other explanation for what is happening to us. The scientists are not just certain that it is happening they are also certain that we are causing it, and to my ears anyway that is the good news. What would be truly terrifying would be to hear that it was a natural phenomenon that we can nothing about, the fact that we are causing it also means we can solve it. Global average temperatures ar rising, hard to falsify! Facing up to this is a huge challenge as we have built an economic infrastructure that runs almost entirely on coal, gas and oil. If that wasn’t bad enough, our economy also requires growth, year on year just to stand still, just to pay off the interest on the money we have already borrowed. 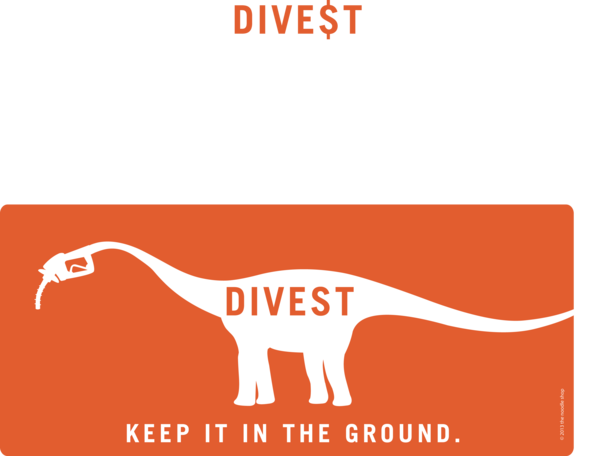 We are sort of locked in to our own destruction as we have already raised money against oil and coal that hasn’t even been burned yet. Although 195 governments, almost the entire world signed the Paris Climate Agreement, binding us to work to stay under 2 degrees of change it also not unsurprising that they are unable to enact policies that take us in that direction. After all until now our whole economy has been rooted in burning resources at an ever faster rate to produce goods with ever shorter shelf lives. Economic growth is not going to save us, only an evolution in human thinking, an evolution in our collective economic behaviour will do that. Atmospheric CO2, the main culprit in the problem currently stands at 400ppm. It used to 285ppm before we started on the industrial age, and the planet will carry on warming until we get it back down to 350ppm (this is the view of NASA), that means getting our global emissions down to zero as soon as we possibly can whilst developing ways of farming, land management, building, energy and more that actually lock CO2 up and stop it returning to the atmosphere. Plants do this all the time, so building out of natural materials achieves this goal, imagine building houses from wood, straw, hemp, clay/ lime, coupled with a re-localised organic food production system, powered with a renewable energy grid running super-efficient, low energy appliances and homes, that is the kind of thing we need to put in place and fast. Building such an infrastructure is where the jobs will come from for the emerging generation, the generation who are growing into an already climate-changed world and whilst we are doing that we will be building a new kind of economy that enhances the environment and locks up carbon, making climate more stable once again over the longer term. There is already a global movement in permaculture design, in community supported farms and climate change adaption and mitigation, so instead of burying your head in the sand and expecting us to believe these absurd statements of denial I invite you and everyone to join the solution, the transition. Let us all help each other find the pathways from the destructive and now obsolete carbon extraction economy and create a new exciting and forward- thinking carbon-sequestration economy. I call that permaculture, you can call it what you want but it is the only future possible for humanity and anything that distracts us from that aim is wasted time. Find out about permaculture design and how we can work with natural systems to repair the biosphere and lessen the effects of climate change. Chester Cathedral are teaming with local permaculture trainers Sector39 to offer a course for community leaders and innovators for change at the Chapter house from Mid-November, over the course of 12 evening plus 1 weekend. Join 350.org the global climate action movement to find out how you can join in the response to the biggest challenge humanity has yet had to face. Are we going to carry on in this destructive mode? A powerful eulogy from Geoff Lawton on Bill Mollison. Change works on a feedback loop, fixing the economy comes with the requirement to channel resources towards more desirable outcomes. As players in an interconnected global market each of us has considerable power, our collective decisions shape the future. Spending and investment matters! Our monetary system is driving us over the edge but how can we reform it? Our obsession with GDP growth shows nothing less than we don’t understand economics. The word Oikos, meaning hearth and home in ancient Greek also represents the basic building block of civilization. Oikos forms the root of both the concepts of ecology and economy and the decisions we make at the hearth side shape the world around us with far-reaching consequences. The solar economy is a steady state, a constant we cannot change but can only plan in relation to. It is only through continued and expanding exploitation of firstly ancient woodlands, then trapped carbon deposits in the form of coal, gas and oil that we have been able to live beyond our means. Our shopping mall lifestyles aren’t going to run on a solar economy and expanding consumption puts us on a certain crash course with the environment. Ecological problems require economic solutions, and economic theories must obey the laws of ecology. Here in conversation with Max and Stacy is the amazing Dimitry Orlov in the Keiser report’s summer solutions series discussing the possibilities for a human scale society. The vision of a vibrant, highly connected and re-localised economy he outlines resonates with the permaculture vision. This post forms part of a theme we are currently working on, to incorporate an economic framework into permaculture design teaching. 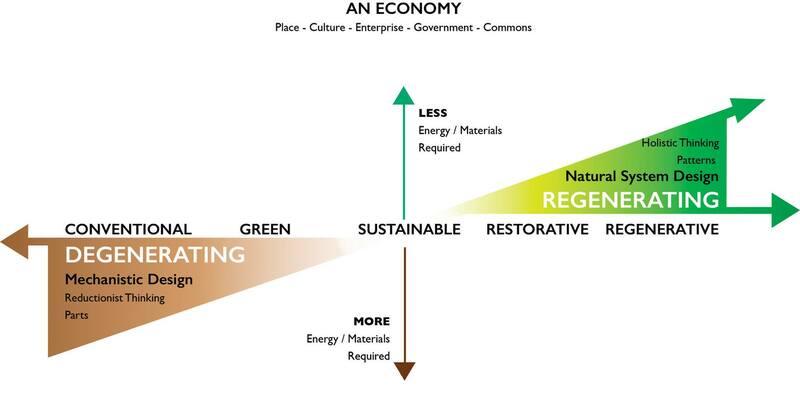 What we might want to see as a restorative economy, an economy with teh ojectives of restoring community and natural systems to abndance. This idea is beautifully imagined in the graphic i spotted on the net. Sustainability is only a mid point between on going desstruction and inravelling, and some thing that uilds positively in the other direction. Permaculture takes us beyond sustainaility to regeneration. Permaculture is something you do, so much more than something you talk about; it is an active process. Much of the ‘doing’ may involve thinking and planning but that is still active and in turn can bring about long term change. I believe permaculture is the most powerful tool we have in formulating our response to the challenges of the day. 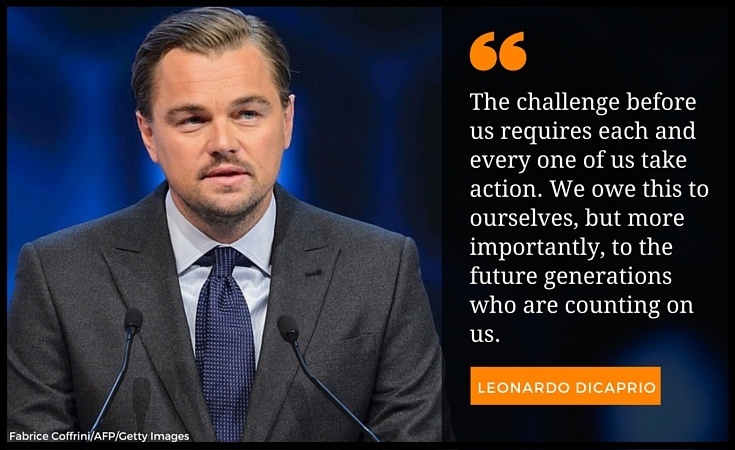 The global response to the rapidly unfolding climate crisis requires a co-ordinated effort, we are all going to have to pull in the same direction to bring about the changes required in the increasingly limited time remaining. 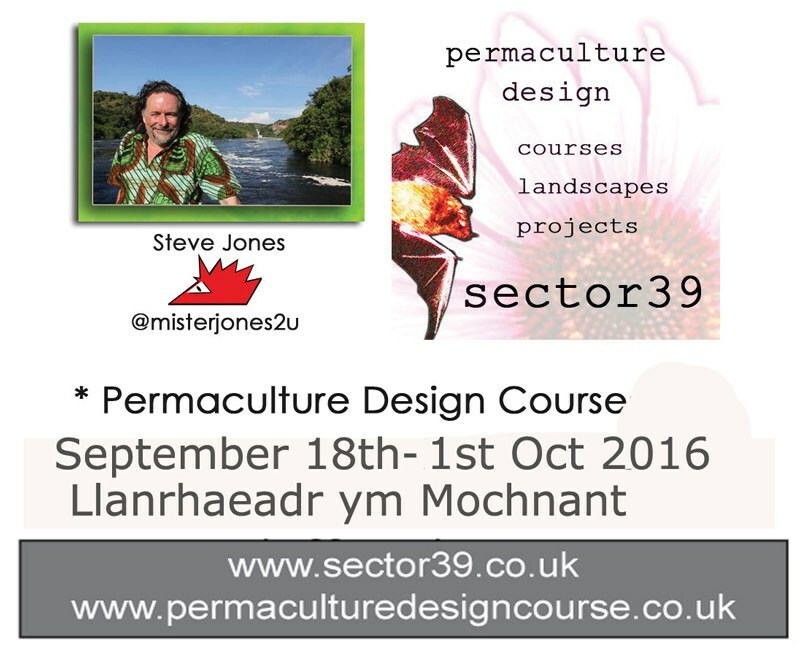 Permaculture design is that frame-work of understanding, a broad embrace of peraculture could be of use to evolve our collective thinking into a set of beahaviours that can have net positive impact on the biosphere. The rates of damage and depletion are such that we are required to repair and regenerate the natural world to enable us to avoid the worst excesses of the climate de-stabalistion bought about by the concined effects of agriculture, deforestation and carbon based fuel burning. There are tons of permaculture resurces freely available on the Internet, but still the best way to ignite your own interest in the subject is to take part in some kind of course, activity or open weekend; see it for yourself! We are offering such a weekend this August in the Welsh mountian village of Llanrhaeadr at a hosing co-operative and craft shop, within that community. We will have a practical look at how nature works and what we might be able to learn from that in ways we can apply it to our own lives. 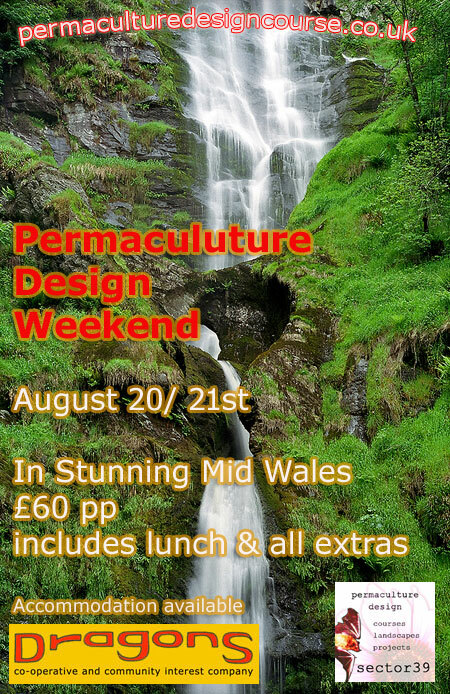 Permaculture is psotive, informative and fun and by invovling yoruself you will meet likeminded people whilst having the chance to expore this amazing area and its community. 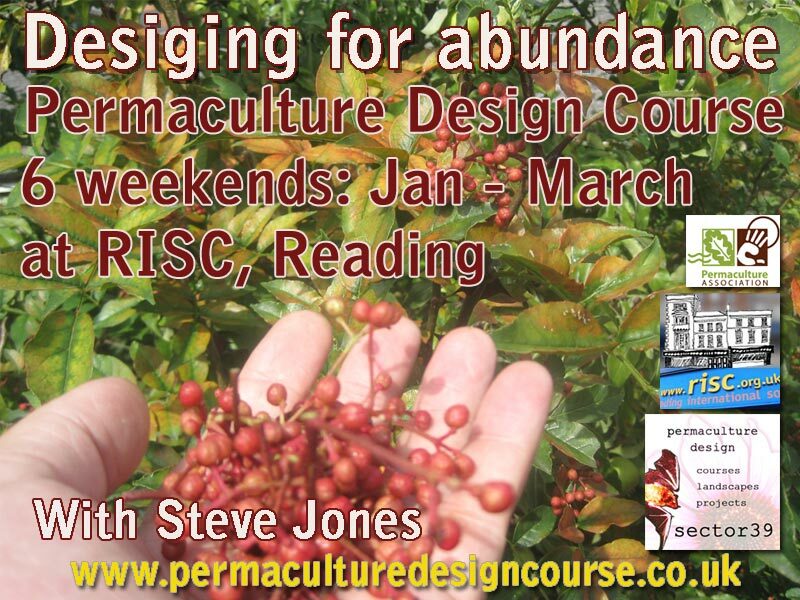 If that really intrests you then you might also consider undertaking the full 2 week PDC, an immersion in permaculture design over the course of 2 weeks, whilst covering the internationally recogised curriculum. These can literally be life changing experiences and less dramatically they do offer a chance to put things into perspective and to allow yourself to focus on your own personal priorities for once. Permaculture teaches us that change is inevitable and that design and evolution present useful strategies and models of how to deal with change and turn it to an advantage. Pulitzer prize winning journalist Hedges spent 20 years in war zones reporting for the New York Times, an institution he has since turned his back on. He is a leading voice of dissent who is convinced the only route to political change is by mass public disobedience. This excellent short interview is a good taster of his essential work reporting from the front line of change. Star turn Geoff Lawton lays out a permaculture manifesto and makes that the challenge that with permaculture we readily address the problems of energy, climate and food security. He held the audience captive with every word and speaks with authority and humility on a such an enormous subject. Sound quality not excellent, bit of crowd noise and rustling at the start but it settles down and is well worth a listen. (jump to to 2.10 to skip intro). The Permaculture association have captured this properly but I am impatient to share! Great short animation from George Monbiot on rewilding. This could be the easiest strategy to rebuild some of the lost biodiversity from North Europe and elsewhere. Just think about… this contains some very important ideas. Powerful short video, exploring the lie we all live. Are we free or are we corporate drones? You decide! The Creation of Money, the future for economics and are we heading for another huge crash? So, a common theme that links all of the posts and discussions on this blog is that our economic system is failing us. Climate change and all that goes with it, including the political inability to respond to it can be argued to be the most extreme example of market failure. Politicians wax lyrically about the power of the free market, when we couldn’t be further from that in reality. 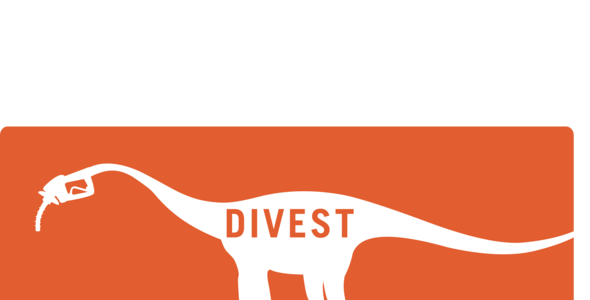 Fossil fuel is heavily subsidised, as is industrial agriculture and first world countries block the export of finished or processed goods from the majority world. Whilst investment capital is free to move around the world at the touch of a computer button first world governments work ever harder to restrict the corresponding movement of people. Again this point has risen in the fallout of the COP Lima summit that has just finished with another toothless and none binding agreement. Economics lesson: Here is a series of videos and thoughts on the subject of the financial crisis. No single one tells the whole story and together make powerful watching. And of course, this is not over.. the massive reflation of the global economy has only gone to create even bigger asset bubbles and seems to have set up up for another crash, on a much great scale. Maybe crash is to stronger term, but it seems highly likely to me that we are certainly heading for a significant economic contraction, on the scale of Japan in the 80’s where asset prices prices contracted by 70% and have pretty much remained at those levels for getting on for 30 years. So we here we go this is a roller coaster ride and takes us past Max Keiser, the ex Wall street broker turned financial journalist who accuses Morgan Stanley and Goldman Sachs, the lead culprits in a global fraud of epic proportions, leading up to Dimity Orlov who offers fascinating insights into the notion of collapse. The award winning documentary ‘Inside Job’ [2011 | US] by Charles Ferguson and narrated by Mat Damon is the most insightful and illuminating amongst a number of such attempts that deal with the global financial crisis, which is wrecking lives and economies across the world to this day. This documentary The Biggest Bank Heist ever contains clips and extended interviews from the film, with even more expose on the nefarious dealings that led up to the financial crisis. A good starting point to think these issues through. The roots of the economic crisis. Here is a BBC documentary that sets out the core economic problem we are facing.. an unpayable mountain of debt. Globalisation has not been a success. The lack of sustainability of the economy mirrors the lack of ecological sustainability of the way behave. Economic turmoil, or a state of near permanent crisis could easily be our best possible future.Part 2 is very glib abd light on solutions and should be much angrier.. we were sold a lie in terms of the Monetarist policies of the 80’s, they created a false consumer boom that lets be honest,a great many of use could see at the time was ultimately leading nowhere. Perhaps the failure of the programme to really grasp the importance of that is its undoing.. still it is an informed overview the sets the scene for much deeper debate we should all be participating in about the future of economic goals in the light of this flawed system, the failure of globalisation, consumerism and the climate change and ecological crisis it has also caused. Here is part two of the BBC docu…. exploring solutions.. of which there are tellingly precious few… notably the RBS manager who still wants to defend bonus wages bonanza in the city. A key point is the lack of opportunity for the next gener\tion and our failure to invest in education. If you want another version of this, from perhaps a more alarmist perspective here is the Money Week Magazine advertorial, explaining the approaching debt crisis… alarmist in that they are a magazine trying to sell their ideas.. but they are not wrong in their core analysis of the numbers. They don’t offer up a solution though, just an investment strategy to those who already have money.. which again a is big part of the problem. the current system always favours those who already have money and only exacerbates the differences between those who have capital and those that don’t. And here is the 2012 documentary..Overdose, the next financial Crisis. We haven’t fixed the problem, but have set ourselves for a bigger crash. I have to say it is really interesting to see that the house of commons has finally had a debate about the creation of money. The current economic system allows banks to create money at will by giving out new loans. This is still something that the vast majority of people fail to understand. 90% or more of money is created at the stroke of a pen, or rather touch of a key. So here in the first video of this series is Tory MP Steve Baker being interviewed on RT, as the proposer of the bill. This is doubly interesting to see a recently schooled insider who is prepared to blow the whistle on the financial malpractice that is at the heart of our economy as he can clearly see how absurd and unfair the system actually is. Obviously this deregulation of the banking system is what has set the seeds of this problem so this debate in attempt to start to think our way out of this problem. Taking control out of the hands of the banks – these most undemocratic of institutions has to be a key start point in a joined up responses to solving our economic problems. The response from Michael Meacher is also really worth watching and is really informative. I am including the parliamentary debate on this to illustrate that these ideas are not fringe ideas, but are even being discussed at the heart of the system. Anyone with a developing interest in economics and the fraud and mismanagement at the heart of the financial markets needs to follow Max Keiser and his RT show The Keiser Report. Max and partner Stacy Herbert host one of the liveliest and most informative chat shows out there.. they analyse the financial news, expose the hypocrisy and lies at the heart of the system as well as bringing on leading luminaries to explore their points of view. I have listed two recent episodes that highlight what they are all about, but really it is hard to just jump into their dialogue and get all of what they are saying, it is well worth being a regular subscriber, I never miss an episode! Max is a former Wall Street trader turned financial journalist and his inside perspective, phenomenal contacts and experience open up a world that was previously hidden from people on the outside. He is a harsh critic of the current system and a proponent of crypto currencies, crowd funding and all sorts of new, more democratic and powerful economic tools that are becoming increasingly at our disposal. We talk about mass civil action being required to bring about the degree of change required and economic systems are actually that.. the sum total of of how we all interact with each other, yet the system is skewed to favour the owners of capital, regardless of the consequences of that fact. A better understanding of how economics and money work has to be at the heart of a powerful and unified global response to the issued raised through this blog post and the rest of the Sector39 blog. Finally: I know this is a marathon but I think that understanding all of this is essential to realising how it is that all the possible low carbon, energy efficient renewable technologies out there are not getting invested in as they should be. How politicians cannot allow climate change legislation to pass when it comes to it because the economic forces that surround them wont allow them to. I think we all have to realise that regulation in all is form will never be effective in bringing about seismic change, it jsut manages us into collapse and catastrophe. Change only comes about when every one starts to behave differently. As soon as we act differently, collectively disengage from the current paradigm in whatever ways that we can, we will increasingly send out a massive economic signal that really does have the power to transform teh world. We need to drag the politicians and their corporate sponsors kicking and screaming in the direction we as spopulation require, and not expect the market to lead us to a fair an susainable world, especially not as currently configured. Orlov on Economics is really insightful into the nature of what we almost completely take for granted here in the West. This is really worth watching, it is slow paced, but consequently gives you time to digest the real meaning and wider consequences of what he is saying. The importance of local economy as the only sustainable system is spelled out with great clarity. Really interesting what he has to say about gifts, largesse and charity. On rebuilding local economies i stil this is the best book out there.. Richard Douthwaite’s Short Circuit. It is free to read on line and is a great resource as well as a good read. Between what Orlov talks about and this book i think we are looking at whole different kind of approach to how we proceed. Merry Christmas and Solstice every one, here’s to an abundant New Year!